Does God really have a specific plan for your life: Who to marry, what church to attend, what profession or line of work to enter? Or, could his plan for you be more about becoming the right kind of person? What is your plan for praying about everything? 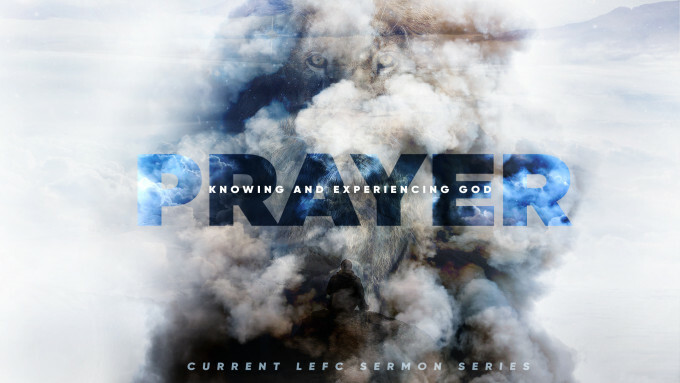 If we believe prayer is a conversation between God and people, how do we hear from God? What are the things in life that hinder us from hearing his voice? How do we get rid of them? What are your strategies regarding prayer and your Oikos? How do you use the power of prayer for godly influence among those friends who do not consider themselves followers of Christ? How does one practically utilize the God’s great power for us who believe?Specifically, where do we struggle in our faith with all the evil we see in the world? Give some thought to having concerts of prayer in your Life Groups. What would it look like for your group (from time to time) to focus only on prayer for our church, each other, our Oikos, our community? 1. Have you ever had a moment where you tangibly observed the spiritual realm? If so, explain. 2. How would you separate that which is purely physical verses that which clearly is affected by the spiritual realm? 3. How would you explain the difference between knowing about Jesus verses knowing Jesus? 4. Do you think we are daily aware of the “rulers in dark places” and the power they have in our culture? How can we live more in the greater power of Jesus fully aware of the conflict we regularly face? 5. Why do unbelievers have a reaction to Jesus’ name more than any other name, both in profanity, rejection, anger, or in discomfort? 6. How can we as believers invoke the power of Jesus name in prayer, life situations, or in building bridges with our oikos?